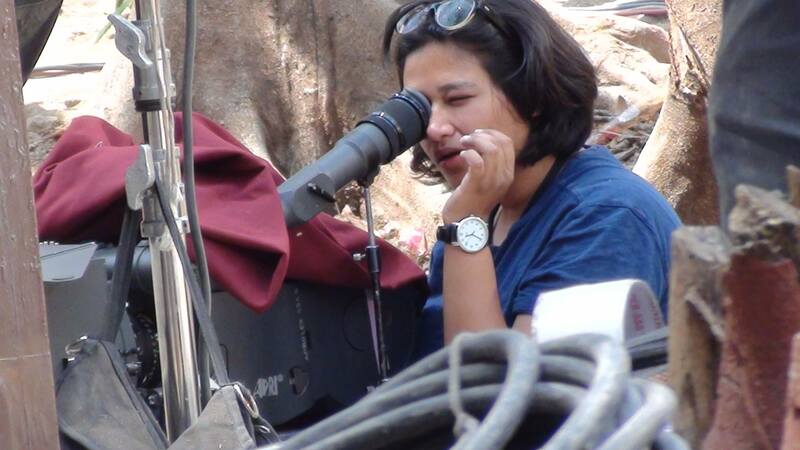 Vatsala Goel is a film cinematographer and an alumnus of The Film & Television Institute of India (Batch of 2009, dialogue and diploma films as cinematographer are “Virag” and “Chaita ki ek Dupahari” ). She is from Calcutta, completed her graduation in B.A. English Hons from St. Xavier’s College, Calcutta University and served as the Photo Researcher at Forbes India Magazine in Mumbai before joining FTII in 2010. Her first feature film, a documentary named “Train Chaar Baje Ki Hai/ The Train Leaves at Four” recently screened at the 17th MAMI Film Festival in Mumbai, and will be screening at the 21st Kolkata Film Festival on Nov 18th. The film has also made it to NFDC Film Bazaar’s recommended list of films in 2015. All her projects have travelled successfully to multiple film festivals such as the IFFI, Goa, IDSFF, Kerela, Clapstick, Kolkata, NSFA, IDPA, IFFLA and more. Currently she is based out of San Francisco, but actively looking to shoot feature projects in India. This is her website and IMDB Page. Both my parents are artists and so I was exposed to a variety of art from around the world and different mediums from an early age. We also have a great library of art catalogues and books at home, and so occasionally we’d spend weekends browsing these together. I guess that was my earliest exposure to image-making. At home we watched Doordarshan classics on our small color TV. But when cable TV came in, we got sucked into it so much so that my father had to cut off the subscription! In those TV-less years, I turned to comic books such as Tintin, Asterix and Tinkle for lunch and dinner time entertainment. I believe it was the sense of frame-by-frame motion captured in them that somewhere planted the germ of film making in me. In college I wanted to keep away from rote learning so I took Film Studies along with English literature. Together they really nurtured my sense of storytelling through images and words. We had some really great teachers in our Literature program at St. Xavier’s College. We absorbed Literature quite visually, and explored it through tempo, rhythm, lyric and such qualities that are also relevant in the film craft. Watching the films of Kubrick, Jarmusch, Wong Kar Wai, Scorsese, and Kieslowski in the first week of film studies pushed me to consider motion picture photography. Studying the works of Blake, Neruda, Elliot, Hardy, Steinbeck at the same time provided a rich canvas of inspiration. The cadence in their poetry, and the rawness of cinema were a perfect match for each other. Around the same time I picked up still photography on my own, using a compact point and shoot camera my dad bought for himself. Because of its size, I was able to really bend the limits of what it could do. I was writing prose and free verse poetry at that time, and I’d illustrate it with my photography. I first pursued still photography and got accepted into the photojournalism program at the prestigious ICP in New York. But due to the lack of funds, I wasn’t able to go. I was disappointed. A lot of “well wishers” advised me about the hardships of professional photography as being insurmountable for a girl like me from a modest middle class background. But it was Dayanita Singh who encouraged me to “spend the next 10 years learning the same things I’d pick up in New York at half the cost”. I think I took this advice to heart. I took a year after college to work with the photography department at Forbes India Magazine while I worked out my next best steps to learn photography formally. The best part of my job involved pulling images from Reuters, AFP, Corbis, Getty, PTI, Redux, and many such top agencies around the world. I developed a keen sense for narrative in images here. Around the same time, a friend at FTII suggested that I apply to the cinematography course there. I did, and get calls for interviews both in the TV and Film departments and eventually took up Film Cinematography. Over the next four years I trained and rebuilt myself. When Im not on set shooting films, I am usually working on a personal project that in some way shape or form involves image making, be it printing, or shooting, or looking at other peoples work. In terms of learning, I am quite irreverent about the source. I will learn anywhere, from anyone and I learn by doing. I am constantly trying to visit sets and watch how different DP’s approach & tackle similar situations/ problems. I believe assisting is most helpful in picking up different approaches to solve a variety of lighting demands. It’s like having a swiss army knife that lets you use the best approach for a given situation. But there needs to be basic courtesy in the assistant – DP relationship. I have learnt the most from assisting people who are respectful of their subordinates. I’d never had the privilege of operating a video camera before coming to FTII. Technically the one shot exercise in week 1 in the first year was my first project. But I had the most fun working on my continuity film Araby based on James Joyce’s short story of the same name, that I directed, shot and edited. My other big experimental project was a collaboration with some friends from FTII and a local dancer in Pune. I put my heart into it and really pushed the envelope with this film. It explored movement, dance, light, emotion, feminity, questioned the notion of safety that’s imposed on girls our age that like to stay outdoors on our own and meditate on our inspirations. I borrowed Gurvinder and Sunaina’s slightly quirky PD 170 (thank you!) and shot for a few months in and around Pune. That became my DV film. I am really interested in stories circling life in small towns in India. I am actively looking for them, so hopefully a likeminded director/ writer reading this right now would reach out to me! I also love scripts that have well rounded, wholesome “supporting” characters that are worthy of being explored as subjects themselves. For instance the Nain Tara in Dum Laga Ke Haisha, or Titu mamaji in Luv Shuv Tey Chicken Khurana have that hapless-ness, which deserves to be explored. For me cinematography resides at the cusp of intuition and technology. Since technology is ever always evolving, one never stops learning. Having access to vast pool of knowledge on the internet surely helps. In my craft, I like to strike a fair balance between preparation and risk-taking. In the run up to filming I like to be heavily involved in the pre-production, work out minute details of equipment, do lighting diagrams, perform camera/ lens/ lighting tests etc. During filming however, I am quite open to tackling challenges. So throw out the storyboards and think of something on the spot if a wall cannot be removed, or the director wants to work in a particular manner with the actors. I push for budgeting time to light well, budgeting for reasonably good lenses. But then there are shoots like Train Leaves at Four where we had no budget and I shot with whatever we could find locally. A local filmmaker lent us his Z1 camera and we just rolled with it. A portable emergency light became our only light during the night shoots. So I’d say I’m fairly open. From a career perspective, I’ve taken quite a few risks as well. Leaving my job at Forbes for FTII was a risk in itself. Once accepted, I challenged myself and survived the tough environment. I grew to discover its history, sense of community and above all, the space for creative exploration that is quite rare in India. 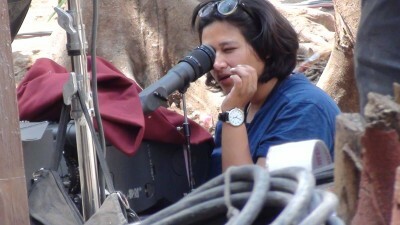 Now as a female cinematographer from India in San Francisco (where I currently spend the better half of the year) in many ways, I am starting from scratch and have to carve out my niche here. But it is this kind of challenge that i thrive on. Tell us something about your latest film ‘The Train Leaves At Four’. The film is about how the indigenous Baiga people navigate the so called “development” that is fast encroaching their original habitats. It was a pleasure to film on location. The landscape is very close to my heart. My parents are originally from the Bundelkhand region in M.P. and during my childhood I visited the jungles in this area. I remember watching my father paint these landscapes in bold strokes of indian ink. So I was deeply familiar with the terrain which itself served as a strong character in the film. The Baiga family made our small crew feel very much at home. It was quite a rare experience, and I’d love to do more projects like this in the future, hopefully with a budget! I cant quite say so. In general the average commercial cinema audience in India seems to occasionally notice or remark on the “camera-work” but it doesn’t go further than that. Television audiences seem largely immune to visual culture and don’t seem to be protesting the existing inertia. The shot-taking, mise-en-scene, art and editing style, all seem to take a back seat to the over-the-top stories. Its is perhaps the keen followers of regional world cinema who seem to appreciate the role of cinematography more often. I really hope this changes. There is so much emphasis on technology in the public dialog about cinematography. Is that a distraction from the real job? Has technology enabled a higher art? Chasing technology for purely novelty’s sake can be a distraction from mastering the basic fundamentals. Don’t get me wrong, I am grateful for the internet and digital tools for enabling more people to take up film making. But I like to tune out of the craze for latest 4/5/6/7K cameras that spares no thought towards telling a better story. I am inspired by things like street life in India, a good meal, colorful anecdotes, life in small towns & the ability to make creative ideas spring to life. I enjoy films that are non-indulgent and get to the crux of the story straightaway. Stories of a milieu that is usually only seen in the background as space fillers. I’m doing a lot of short films and actively looking for feature film projects, especially in India. My dream project would be with some FTII people I love hanging out with, and we’d shoot in the gallis of our favourite towns and cook lots of dinners together. It would be a film about the common man. Lots of humor and camaraderie. Not a blunder but memorable nevertheless. Before admission, I was visiting FTII and happened to overhear a discussion in Studio 1 about the tarafa’s. Quite naively, I asked to know what a tarafa was and Pradeepto quipped “Dear prospective camera student, thats what you hang those lights on!”. I remember that quite vividly. Observe light everywhere you go, be kind to people on set, read regularly and stay in touch with other mediums! Hi Vatsala ! Your journey as a cinematographer is highly motivating for the younger generations to be inspired & to emulate & follow your foot prints that you leave behind in the sands of time !